Welcome to Alexandra DeFries' Fundraising Page! I hope you will join me in supporing the Leukemia & Lymphoma Society in beating blood cancers and creating a world with more survivors. Cancer. That dreaded word that envokes fear in us all. Unfortunately, this dreaded disease touches all of our lives in some way. I was diagnosed with Hodgkin's Lymphoma in June of 2015 and my life changed the day I received my diagnosis. After a grueling 7 months of chemotherapy, doctor's appointments, tests and hospital stays, I got the best news of my life. I was in remission. Now, as I am celebrating three years in remission, I am using my experience to fight and fundraise for a cure. I am running for Woman of the Year 2019 and my team and I are working to raise as much as possible over the next 10 weeks. Every dollar we raise counts as one vote for my candidacy. The candidate whose team tallies the most votes ($$) earns the prestigious title of "Man or Woman of the Year". While I am running to raise as much money as possible, I am equally invested in raising awareness about The Leukemia & Lymphoma Society to as many people as possible. I did not know about LLS when I was diagnosed, and while I had fantastic support, my journey would have been exponentially better because of the resources and advocacy that LLS provides patients and caregivers. Help me find a cure for cancer AND share the amazing work that LLS does with your communities! So why LLS? Sadly, every 3 minutes someone is diagnosed with a blood cancer. Thanks to your support, my efforts will help fund therapies and treatments that are saving lives. Over the years, support from people like you has been responsible for the blood cancer advancements that have doubled, tripled, and in some cases quadrupled the survival rate for some blood cancers. 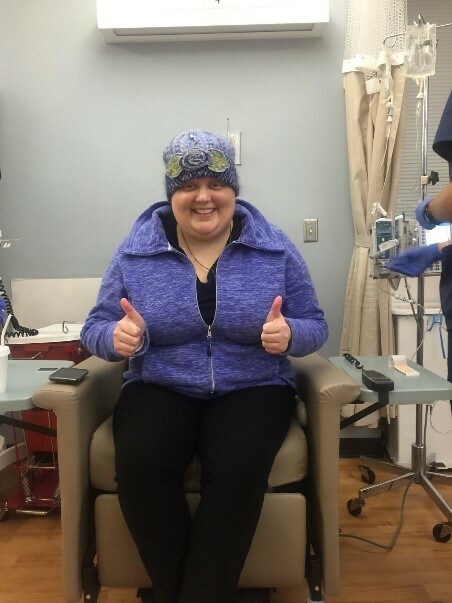 Many LLS supported therapies not only help blood cancer patients, but are also now used to treat patients with rare forms of stomach and skin cancers and are in clinical trials for patients with lung, brain, breast, pancreatic and prostate cancers. And LLS funded drugs like targeted therapies and immunotherapies are now saving thousands of lives every day. 15 of the 18 new FDA approved therapies were funded by LLS in 2017 AND 2018. This is an organization that truly lives out its mission every single day and is making a difference in the lives of millions of people living with blood cancer. We really are getting close to our goal of a world without blood cancers! All donations are greatly appreciated and are tax deductible. Please visit my website often and share widely! Does your company have a matching gifts program that might be willing to match your donation?